This Post has already been read 1573 times. Apple previously has managed to secure rights to iphone4s.com,iphoneporn4s.com, iphonesex4s.com, iphonexxxforces.com and many more by filling disputes with the World Intellectual Property Organization (WIPO). 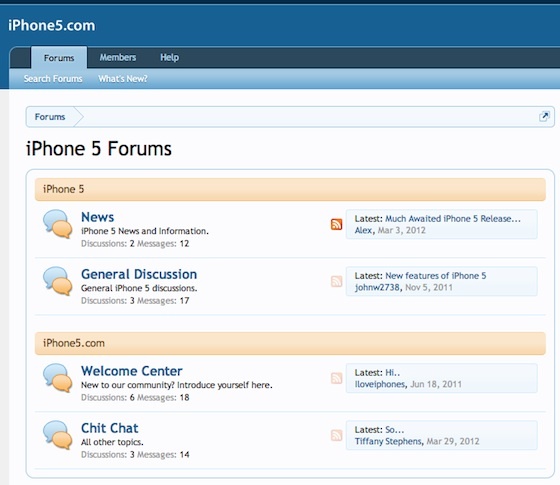 Now Apple has reportedly filed a complaint with WIPO over iPhone5.com, which hosts discussion forums. At present, therare some discussion threads on the board about the case. According to the WHOIS database, the iPhone5.com domain is registered to an anonymous individual with a PO Box in Fortitude Valley, Australia. The domain was first purchased in February 2008, modified on May 3, 2012, and is set to expire in February 2021. The iPhone 5, of course, is what most Apple-watchers expected the company to name its most-recent smartphone. But it was unveiled in October, Apple opted for the iPhone 4S moniker. With rumors about the next iPhone already emerging however, the iPhone 5 name is back in news.